Gor Mahia will travel to Miarinivo Madagascar to defend their narrow one goal lead on Sunday against two time Madagascan champions CNaPS. 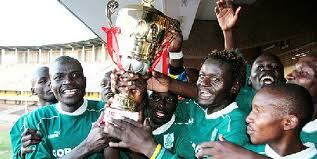 A draw of any kind will see Gor Mahia through to the next phase. A loss by one goal will also see Gor Mahia through if Gor Mahia score at least one goal (away goals rule). 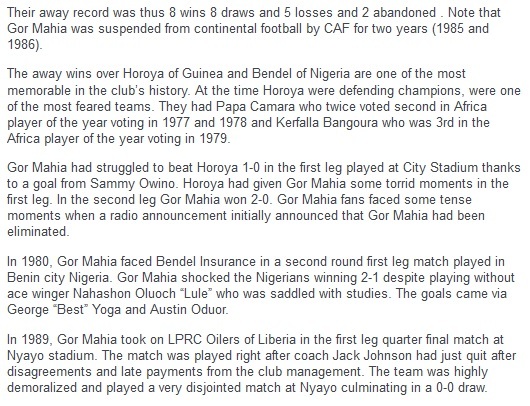 The same scenario happened last year when Gor Mahia took on US Bitam of Gabon. CNaPS too are experiencing a sense of deja vu because last year they lost 0-1 to Mozambican side Liga Muculmana and were forced to a scoreless draw at home. Indeed CNaPS have never gone beyond the preliminary round of the Africa Champions League. “We are not under pressure and I don’t see the win in the first leg as narrow because we already have an advantage. We have been at this stage before and we know what we are expected to do. “We are not going to Madagascar to defend but rather we will be seeking for more goals,” said Jerim to Capital FM. If Gor Mahia go for goals, they will be hoping that Michael Olunga finds the same scoring form he found against Mathare United where he found the net twice. Scoring at least one goal will mean that CNaPS now have to score three. For Gor Mahia to defend their lead, they will have to do a better job of containing CNaPS danger men Jeannot Vonimbola and Rija Rakotomandimbyir who both proved dangerous in the first leg. 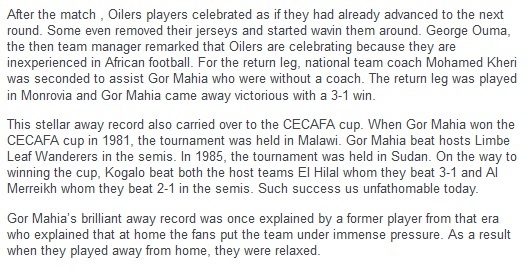 And Frank Nutall is in agreement that Gor Mahia cannot afford to underrate the Islanders again. And this is where the return of Dirkir Glay and Collins Okoth can be useful especially if the latter can keep his head calm. Okoth needs to be spoken to before the game. Fans will remember how he picked up a red card during the away match against Ferroviario in Mozambique during his first stint at the club. The red card was due to dissent. Okoth claimed there was a language barrier between himself and the referee. 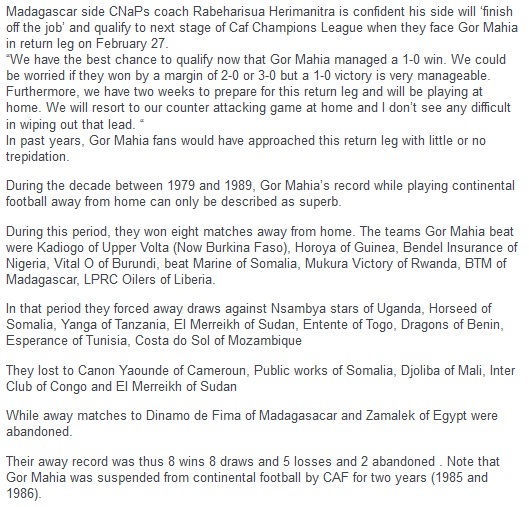 The net result was that bad situation became even worse as a disjointed Gor Mahia succumbed to the Mozambicans. Gor Mahia depart on Saturday a day before the match due to climatic conditions and the low altitude according to Ronald Ngala. The conditions will be atrocious due to recent heavy rains that have pounded the Eastern Coast of Madagascar where the match will be played. The Kenya premier league suffered a blow on Wednesday when high court judge Msagha Mbogholi refused a petition by KPL clubs to lift. KPL Ltd yesterday moved to court seeking to have the orders barring it from running or managing the Kenya Premier League lifted without success. Football Kenya Federation (FKF) had moved to court through Chairman Sam Nyamweya and obtained orders restraining the company from hosting or managing a parallel premier league. KPL lawyer Ben Akech submitted that the order by the court to suspend the company from running the competition for 14 days would adversely affect players, coaches and thousands of football fans. “Unless the orders granted herein are set aside, more than 500 football players, coaches and thousands of football fans following the premier league irreparable harm and damage would be occasioned on them,” submitted Akech. KPL argued that the orders granted by the court were graned on the basis of material non-disclosure and misrepresentation. The football company added that FKF did not disclose to court the existence of regulation 68 of the FIFA statute which prohibits recourse to courts in dispute involving its members. However the the High Court on Wednesday directed that two separate applications filed by Football Kenya Federation and the Kenyan Premier League over a dispute on the running of the country’s top tier club competition be jointly heard on Tuesday. 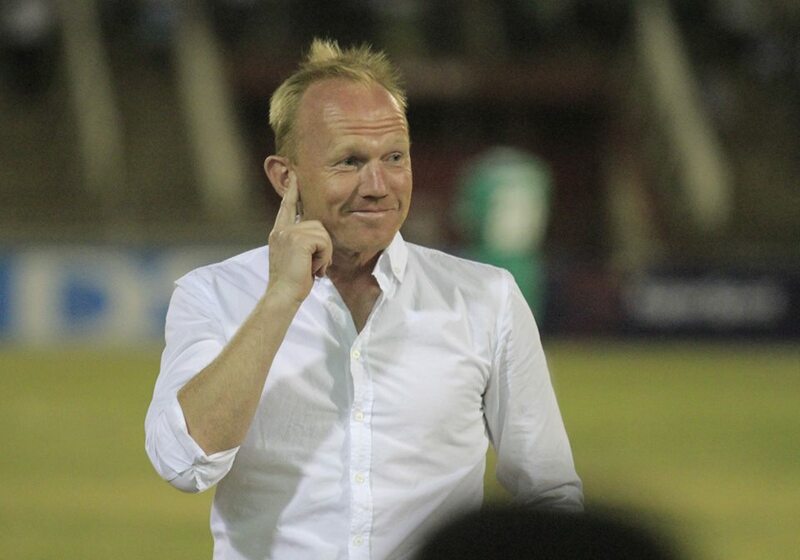 Gor Mahia coach Frank Nuttall is optimistic that Gor Mahia will advance to the first round of the Africa Champions league. Though Gor Mahia carry a slim lead having played poorly in the first leg, Nuttall picked some positives from the match. Nuttall says the frailties in defense and a few weaknesses in the midfield have been rectified and the team is in perfect shape to take on their opponents. Gor Mahia need a draw of any kind to advance. Gor Mahia captain Musa Mohamed has said that the team’s confidence has received a boost from their performance in the last two games. “When you play as a team you always want to win. We have welcomed a number of new signings for the season and to this far everyone has been impressive. The quality and competition in the team will push us a long way as we progress The victories against Sofapaka and CNaPS were vital for us as a team and the winning start to the league campaign very encouraging” he said to the club site. Musa however knows that the return leg will be difficult. Gor Mahia will leave for Madagascar on Saturday 28th February for their return leg match against Caisse Nationale de Prévoyance Sociale Sport (CNaPS) of Madagascar. There will be 25 players and 5 technical bench members and 3 club officials. 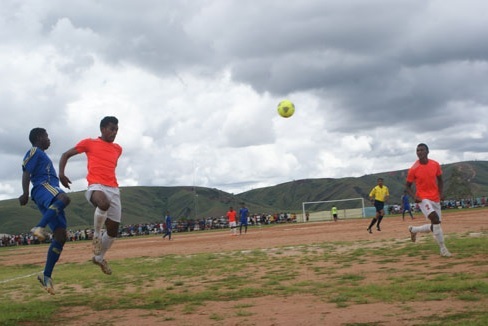 The estimated time of arrival is 8.00am on Saturday for their Sunday afternoon match that has been confirmed for Antananarivo, the capital of Indian Ocean country. It is atypical for a team to arrive for a match on the day before the match. But club official David Kilo explained the late arrival. With the match being played in soggy conditions, Gor Mahia will need to adapt and make greater use of long balls. This will favour Michael Olunga who has shown the thrives on long balls and crosses. The Kenya Premier League has suspended its activities after a court order that barred the league from proceeding was finally received by the KPL. Football Kenya Federation had on Friday evening secured an injunction from the High Court barring KPL from conducting any matches, but the league body went ahead with seven fixtures because it had not been served. “We were served early in the morning and we are currently preparing documentation to challenge the court order. As it stands now, we cannot hold any league matches until the case is heard so we are hoping that that it happens as soon as possible,” KPL CEO Jack Oguda said to the Daily Nation. The Defendants are Kenyan Premier League Limited, Kenya Referees Association and the Sports Kenya. Oguda indicated that KPL plans to challenge the order in those same courts. “We cannot go against the law. I think we have a legitimate case against our challengers which we shall argue out on those same courts,” Oguda said. A number of players both overseas and at home are speaking out against what they perceive as selfishness and incompetence on the part of the parties involved in the current tug of war. Last week, Harambee Stars captain Victor Wanyama urged the feuding parties to find common ground for the sake of the game. “For the sake of our beloved game, FKF & KPL is time to think about the future generation, players and their family who depend on football to earn a living. Let us unite and speak as one and raise the Kenyan flag into the next level,” the Southampton midfielder posted on his Twitter handle. Former captain Dennis Oliech also weighed in. “Enough is enough, we will not see football being destroyed in Kenya and the dreams of the youth extinguished. Let’s all stand up for justice in football,” Oliech posted on his wall. And Monday, Stars and Lillestrom goalkeeper Arnold Origi launched a scathing attack on FKL and KPL. In a hard-hitting post, Origi termed the two bodies “selfish”, while challenging his fellow footballers to stand up and fight for their rights. Local players led by Bandari goalkeeper accused stakeholders of putting their livelihood in peril. They vowed to lead fans in a demo to get the current officials banned from football if the issue is not resolved. FKF chairman Sam Nyamweya claims that he has received a petition from owners of Gor Mahia and AFC Leopards demanding that both teams be included in the FKF premier league. Both sides were included in the list of teams that will participate. Nyamweya announced that each team will receive Ksh 1 million to begin with and receive a further Ksh 1 million each month. He announced that the league will be run by a governing council of the clubs. According to him, FKF will have nothing to do with the league. Though he contradicted himself by saying FKF will have a veto vote. He announced that a sponsor has been found and will be unveiled soon. Nyamweya announced that there will be a new broadcaster announced soon. The broadcaster will have live streaming, pay TV, free to air TV, radio broadcasting, inflight services and a host of components yet to be seen in this republic according to Nyamweya. who stated that he wants Kenyans to watch matches free of charge. All this is very enticing to the public. But football fans will be forgiven for not believing Nyamweya. It must be asked that if Nyamweya has a sponsor and a broadcast partner ready then why has he not unveiled them? Does he want clubs to commit to a league only to find out 3 months from now that there is no sponsor nor broadcast partner? Nyamweya announced that he has been petitioned by the real owners of Gor Mahia and AFC not to lock the two clubs out. He stated “Gor Mahia is not owned by one person” in apparent reference to chairmen Ambrose Rachier and Allan Kasavuli. 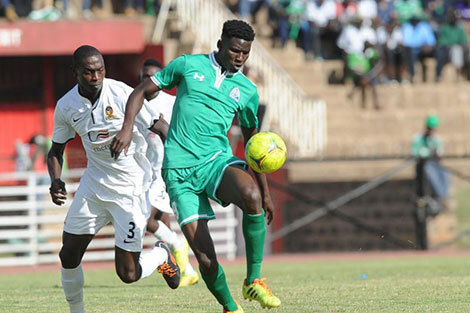 Gor Mahia started the 2015 KPL season on a bright note beating Mathare United 4-2. Returnee Ali Abondo has been in fine scoring form since he returned. It was he who fired Gor Mahia in front early when a Mathare defender ended up in a mixup with his goalkeeper leaving Abondo with an easy task to put Gor Mahia ahead. Mathare equalized via a Noah Abich penalty after defender Haron Shakava was adjudged to have committed a foul. On the stroke of half time, Michael Olunga sent Gor Mahia fans into raptures when he reclaimed the lead for Gor Mahia by heading home a free-kick taken by Rwandese new signing Abouba Sibomana. But Stubborn Mathare kept coming back and equalized. Once again it was Noah Abich who scored to tie the scores at two, this time via a free kick. Gor Mahia pushed forward in search of a third goal. The addition of Meddie Kagere added impetus to Gor Mahia. The Rwandese striker was impressive in his official debut. Their efforts were rewarded when once again Ali Abondo placed himself in the right place at the right time to score from a Godfrey Walusimbi cross. Michael Olunga sealed the score in the 79th minute following a pass from the impressive Kagere. Olunga will be happy to have finally lived up to expectations and repayed the faith that coach Nuttall put in him. Ali Abondo appears much more focused than he was when he last played for Gor Mahia. His movement off the ball is good. In midfield Khalid Aucho tried but was overworked especially when Harrison Mwendwa came on. He gave the Gor Mahia rear-guard plenty to worry about. Aucho will welcome the return of Collins Okoth who is likely serving a suspension. All in all a good start for Gor Mahia which rarely scores four goals. The forwardline which looked blunt during pre-season is starting to gain a measure of cohesion. There is still plenty of work for Nuttall to do before the team hits top form. 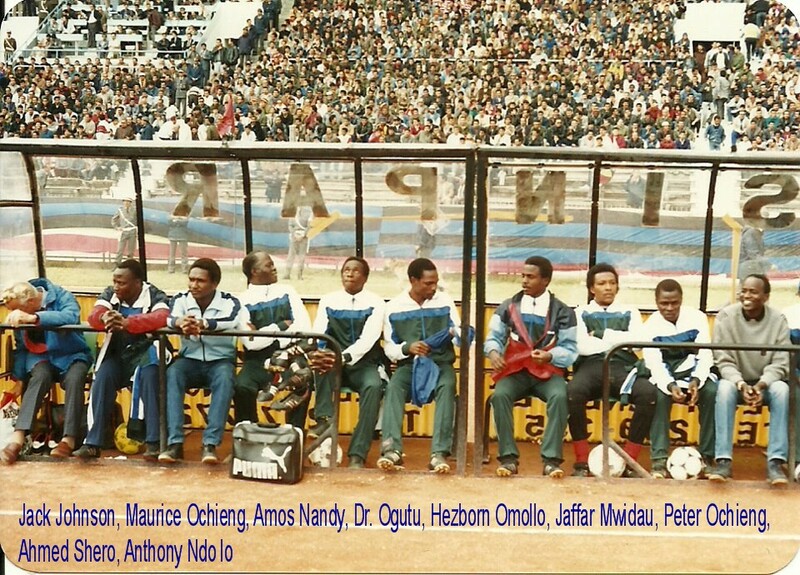 Jerim Onyango – Israel Emuge – Timothy Otieno – Kevin Oluoch – Eric Ochieng. Unused Subs: Charles Ouma – Robinson Mwangi – Eliakim Nyaga – Alphonce Ndoye – Eric Mmata. Football Kenya Federation have promoted 13 teams from the nationwide league to participate in the FKF run league. FKF chairman Sam Nyamweya said the new teams would replace the 13 top clubs who refused to play in the new 18-team competition. “The new clubs will meet on Monday to come up with the new fixtures to the new league, which will kick off next Wednesday,” Nyamweya said. 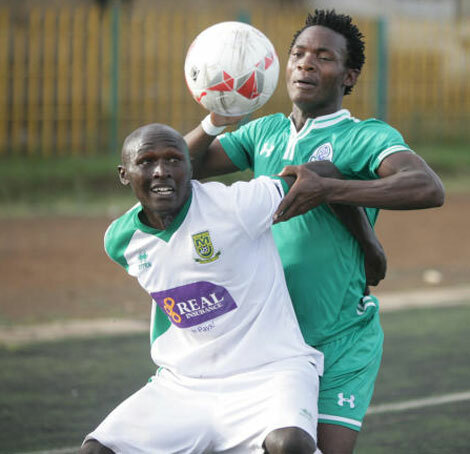 The KPL however maintained that their own league will begin this weekend with all the 16 teams taking part – even though three of those teams have agreed to the rival fixture list too. AFC to join FKF League ? Other reports however indicate that AFC leopards and Muhoroni Youth have submitted a written request to FKF to be allowed to participate in the FKF league. A report posted on goal.com says that a statement signed by Media Officer John Kariuki reveals that Ingwe and Muhoroni have written request to be included in FKF Premier League of 18-teams. The statement read in part, “After Football Kenya Federation released list of clubs to take part in only sanctioned top tier league – FKF/PL – it was a beehive of activity at FKF Secretariat, with clubs in KPL requesting that they be allowed into legitimate league. “First to troop back with a written request was AFC Leopards through Secretary George Aladwa as well as Muhoroni Youth. Most institutional clubs are also expected to shift their goal posts and jump into FKF/PL after their top management, who are their sponsors weighed their options of playing in an unsanctioned league. Sports Minister Hassan Wario had earlier warned the two factions to reach an agreement by February 17 absence of which the government would take action. That date came and went with no government action. He has now warned that the government will not tolerate parallel leagues. But it remains to be seen what he can do. The last time there were parallel leagues in Kenya, the sports minister at the time forbid one faction from using government stadia. An updated report on goal.com now suggests that AFC have not joined the FKF league. But in a shift rejoinder, Ingwe have denied they are part of FKF league and will instead feature in KPL league that kicks-off on Saturday. “On behalf of AFC Leopards I deny writting any letter to FKF about FKF/KPL stand-off. Our position and confirmation as a club about 2015 league will be communicated by Allan Kasavuli, club chairman.” says the statement. Kasavauli has been in the neogiating team along with Ambrose Rachier of Gor Mahia, Elly Kalekwa of Sofapaka and Jack Oguda of KPL. It appears an FKF official released a deceptive statement. This kind of stalemate however is not good for the game and needs to be resolved one way or another. Gor Mahia coach Frank Nuttall has thrown his weight behind towering Gor Mahia striker Mike Olunga. Though Olunga missed numerous opportunities in the DSTV shield match against Sofapaka and against CNaPs, Nuttall believes Olunga has been very useful to the team. “The job of a striker is not only to score but to create opportunities for other players. I’m really impressed with Olunga’s focus of running through off the ball and support he offers to the team. “I’m a believer the more chances a striker get the more experience they gain and they make some evaluation from that. I’m sure that’s what Olunga and other strikers are going,” Nuttall told Capital Sport. Nuttall noted that Olunga is still inexperienced and will only grow in stature once he develops poise in front of goal. “He has the ability to get in scoring positions and as well as that, he is young and fairly inexperienced and has played well. He is one of the players that we can look upon to in our squad selection,” the coach said to capital FM. Olunga faces a tall order in trying to replace supernova Dan Sserunkuma who set an very high standard during the three years he played for Gor Mahia. Whenever he played, Sserunkuma was always the most efficient scorer in the entire league. Olunga’s strength appears to be his ability to make life difficult for defenders when he makes charging runs into the box. He always draws multiple defenders and with the ball within his range, he is a nightmare for defenders often resulting in penalties. His knack for running onto long balls is reminiscent of the legendary Peter Dawo. Former Gor Mahia coach and defender Sammy Omollo “Pamzo” noted that Olunga was very comfortable chasing long balls but appeared uneasy when the ball was played to his feet. The good news for Olunga is that with the availability of Meddie Kagere starting this weekend, there will be less pressure on his broad shoulders. Playing under less pressure could be medicine Olunga needs finally gain confidence and poise. There is now work ahead for Nuttall to find ways that Olunga and Kagere can play together. Olunga draws defenders wherever he runs and could be useful decoy for Kagere. And Olunga is very tall and could therefore be very useful in converting crosses into goals just like Dawo did in his heyday. And once again the man to work with him in this aspect of his game is Nuttall. Olunga is still young and can learn to put his height to use. Both Walusimbi and Nigiziyimana are good crossers. If they can pinpoint Olunga the way Sammy Onyango used to find Dawo with pinpoint crosses and if Olunga can work on his aerial and heading skills then he could offer Gor Mahia more options in attack. 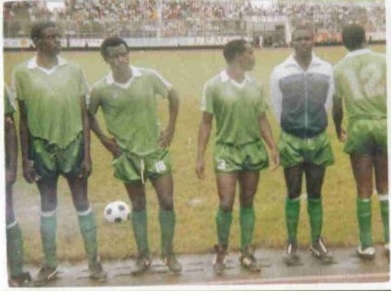 Gor Mahia team Doctor Dannis Omondi passed away on Thursday February 19. According to post on futaa.com, Omondi was taken ill on Wednesday 18 February with breathing problems and was rushed to Kenyatta hospital, but the hospital facilities lacked oxygen forcing the doctor to transfer him to Coptic hospital. Gor Mahia team captain Jerim Onyango passed condolences to the family of the doctor on behalf of the playing unit. Gor Mahia have retained Jerim Onyango as team captain for the 2015 season. This according to a story posted on goal.com. Musa Mohamed has been appointed as Vice Captain. Jerim was voted captain by the players last season. The duo are the longest serving players in the team. Jerim who is 30 has been around since 2008 when he joined the club from KRA. You can spot the excited Jerim in the picture below. Musa Mohamed takes over as Vice captain from David Owino “Calabar” who departed for Zambia in January. Musa joined Gor Mahia straight out of secondary school where played in an excellent Langata high school squad that won the national schools title in 2009. The captain’s armband is typically given to the most experienced player or the player with good leadership skills, is respected by most players or a combination of all three. Typically the players vote for the captain at the beginning of the season or the coach selects the captain. Jerim possesses all these characteristics. He is experienced, is level headed and has good leadership skills. Which is why he was elected captain in 2014. It is also usually given to a player who is almost certain of a first team place. However in the current configuration of Gor Mahia, and based on current form, there are probably only two or three players who are assured of a place in the starting line-up. Just ask “Gattuso” who was shell shocked to find himself benched for the Africa champions league tie this past Saturday. This being the case, Gor Mahia will likely need to select a second Vice Captain to take over the armband in case both Musa and Jerim are not on the field. Gor Mahia will kick off their league campaign this next Saturday, February 21 against Mathare. The match is being held against a backdrop of a tug of war between KPL and FKF regarding whom should run the league. FKF have already fined Gor Mahia and Sofapaka Ksh 200,000 for playing in the 2015 DSTV Super cup. The meeting between KPL and FKF that was held on Wednesday did not bear any fruits. Ambrose Rachier who attended the meeting said the two sides could not reach an amicable agreement. Meanwhile sports minister Hassan Wario vowed to take action is the two parties do not reach an agreement. But his options are limited. Should be remove Nyamweya from FKF, Sepp Blatter and FIFA will immediately ban Kenya football within hours. Goal.com even reported that none other than President Uhuru Kenyatta phoned Blatter about the situation in Kenya but Blatter stuck to his guns and insisted that Nyamweya and FKF must be in charge of all football activities in Kenya. Remember that Blatter feels he must support local officials at all costs so that they can vote for him at the next FIFA election where for the first time in years, Blatter is running against credible candidates. Meanwhile the FKF premier league kicked off last weekend with Shabana playing Nakumatt. It remains to be seen whom Shabana and Nakumatt will play next.